Robin, The Boy Wonder, is Batman's trust sidekick. 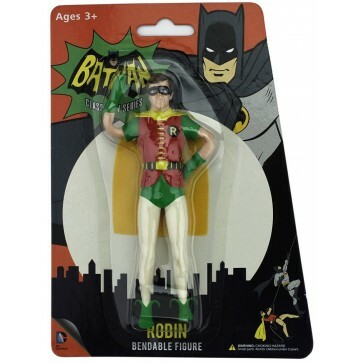 This half of the Dynamic Duo, based of the classic 1960's TV series, is now available as a 5.5" bendable figure. Collect all the Batman: Classic TV Series bendable figures and recreate your favorite scenes!